Typical deterioration patterns for architectural ceramics are discussed and explained. 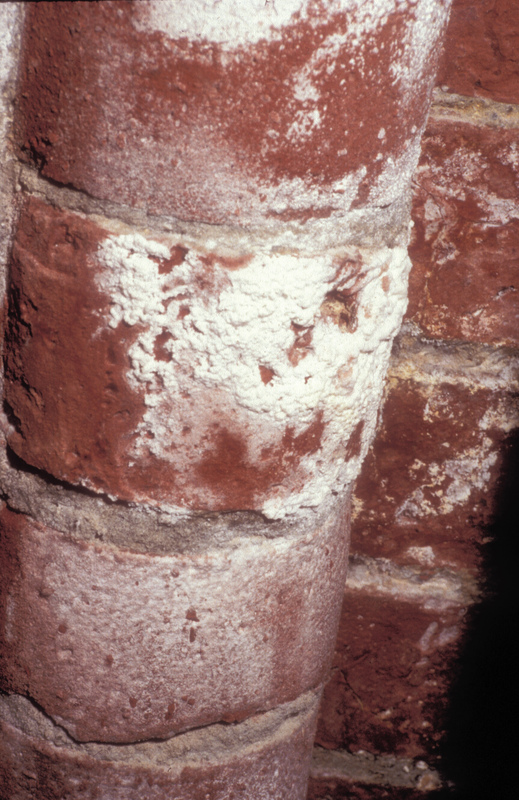 Salt-induced damage to bricks is very common. The glaze on building ceramics prevents the transport of moisture and salts. Often however, the glaze shows "crazing" (a fine network of fissures or cracks) allowing moisture transport through it. 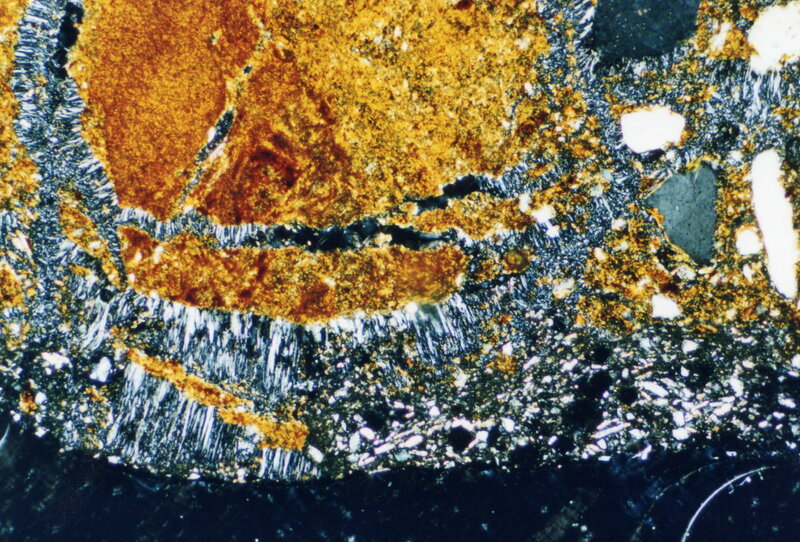 And therefore, if salts are present, they will crystallize around these fissures as well as below the glazing around them, leading to its spalling. Figure 1: The scaling surface of a damaged brick, caused by crystallizing salts. 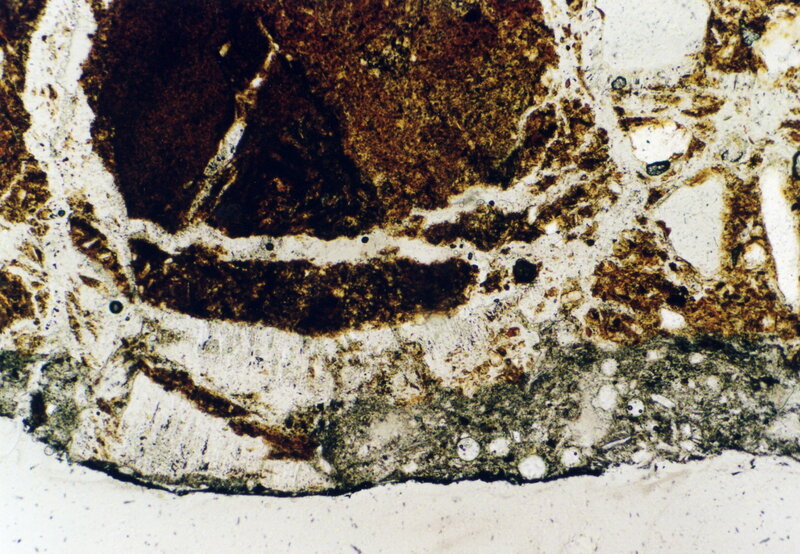 Figure 2: Photo micrograph of a thin section in polarized light. The gray parallel crystals are gypsum. Figure 3: Photo micrograph as Fig 2 with crossed polars. 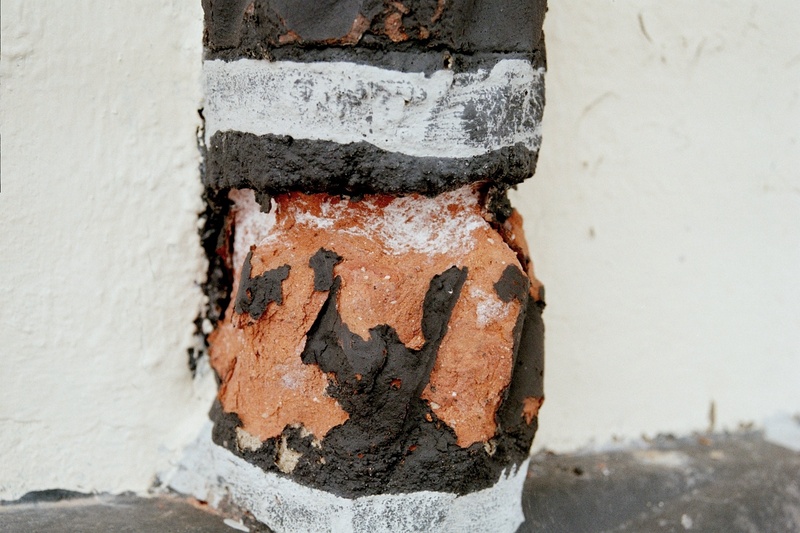 It is clearly visible that the gypsum is causing the damage to the brick, however, it also serves as filler, holding the flaking pieces in place. If the gypsum would be removed, the original surface of the brick would be lost. Figure 4: Salts crystallizing cause a molded brick to powder. 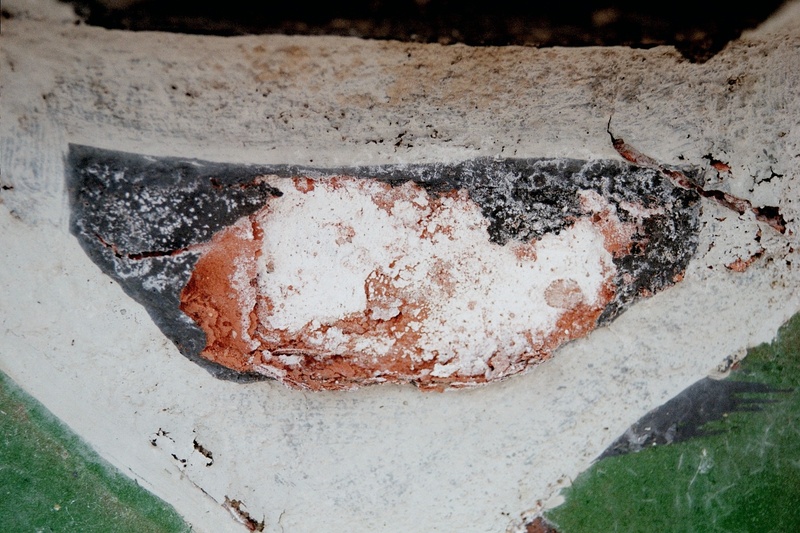 Figure 5: Salt action under a coat of paint resulting in its detachment and disintegration of the brick. 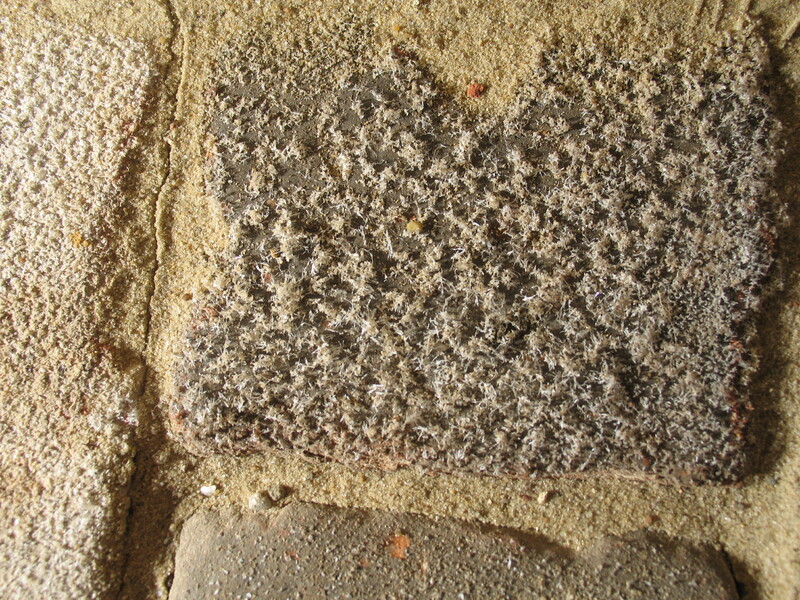 Figure 6: Salt efflorescence on a flagstone. 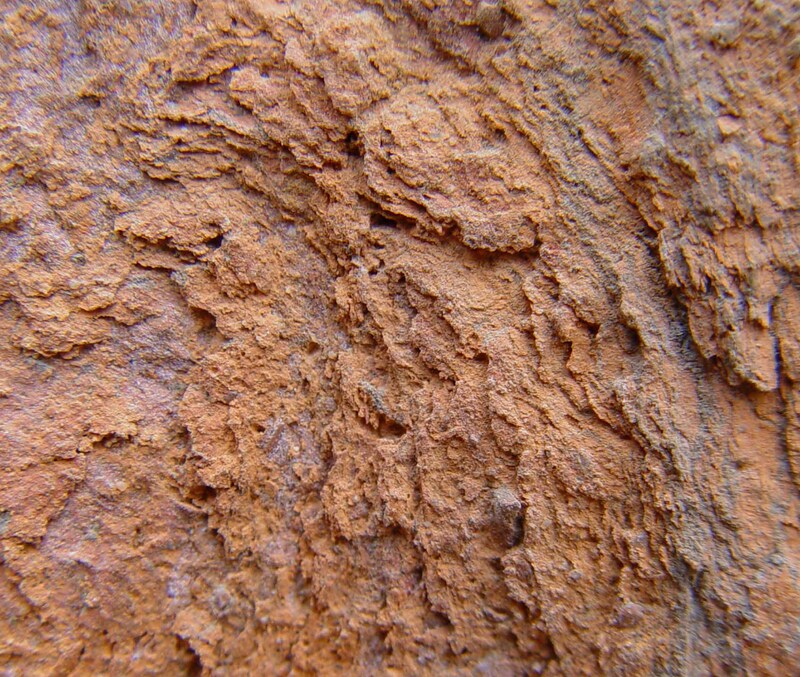 Figure 7: Carbonate salts incrustation on a pillar resulting from the leaching of cement slurry injections. 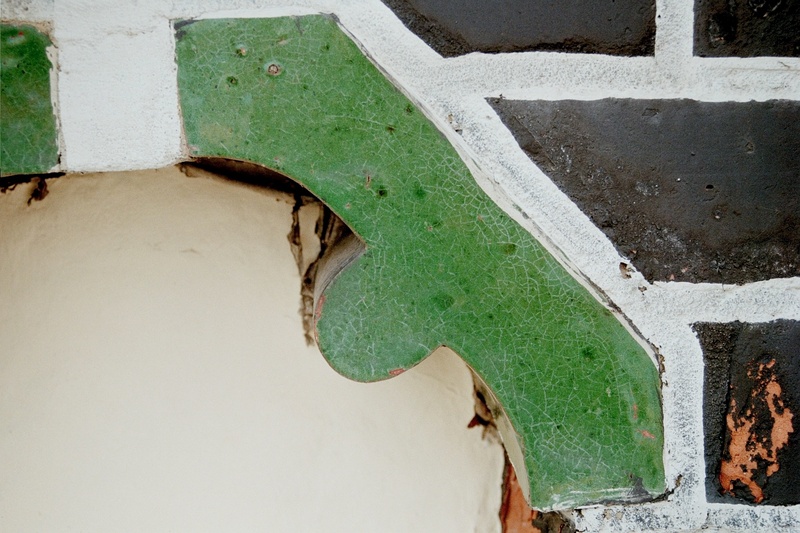 Figure 8: Crystallizing salts accentuate the crazing of a glazed tile. Gradually, the salts will induce the glaze to spall off.